On Wednesday, September 12, the NDB community was treated to an empowering speech by women’s rights and peace activist, Dr. Alaa Murabit. 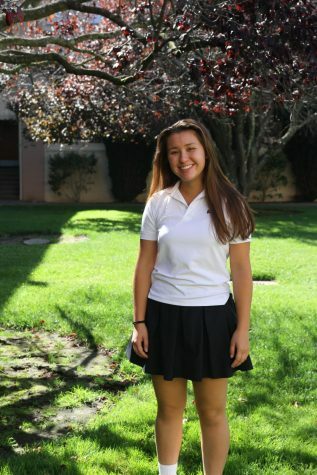 The event was part of “Because I Care Week,” and two alumnae helped to secure her as a speaker. At only twenty-eight years old, Murabit has founded and co-founded several organizations that advocate for women’s rights, particularly in war zones. She was inspired by her own experiences after she left Canada to attend medical school in Libya at the age of fifteen. In her senior year at med school, the Libyan Revolution broke out and Murabit was exposed first hand to the dire effects of war on women in a place of conflict. This experience inspired her to found the Libyan Organization of Women at only twenty-one years old. Following her work with this organization, she was selected to advise the United Nations Security Council and to work as the United Nations’ Women and Sustainable Development Global Advocate. 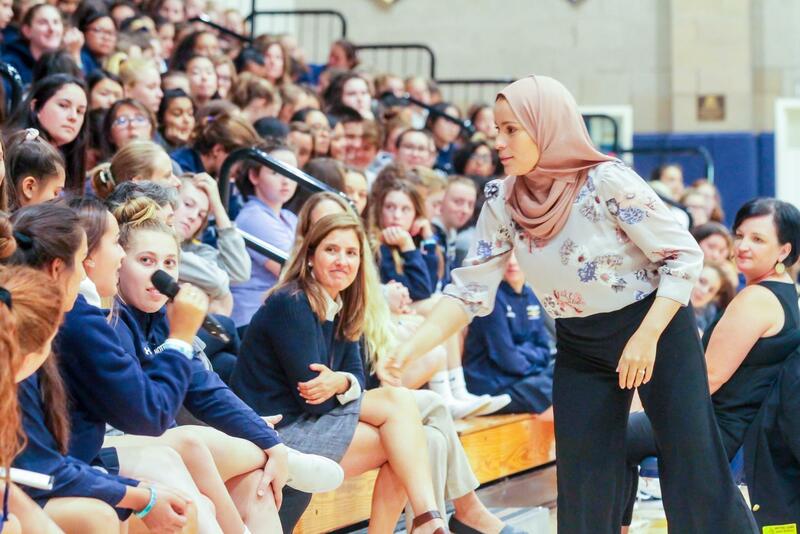 Murabit facilitated a discussion regarding topics such as role models, the influence of social media, and self-confidence during her speech at NDB. Throughout her presentation, she asked questions to the student body and listened to responses, including a fireside chat with four students that she facilitated during the second half. Murabit asked students whether they believed that social media was a positive or negative influence in their lives. Overwhelmingly, students responded that it was a negative experience and influence. This led to a conversation about self-confidence and what it means to be confident and to be considered a confident woman. She also opened up the discussion for students to ask her questions about her own experiences and inspirations in her work. She explained how she became more involved in social justice when focusing on women’s rights throughout the revolution to aid women who had been sexually assaulted in warfare. Murabit explained how her medical background helped her to focus on health, and how she views health as a base for helping developing nations. Murabit also shared advice based on her own experiences on how to handle conflict tactfully when engaging with those that have differing opinions. She advised, “When you come to people, allow them to share with you first,” and explained the importance of showing respect for other people’s experiences and who they are. Murabit stressed the importance of understanding why others feel a certain way, and considering what they have been taught and what they have been taught to believe.